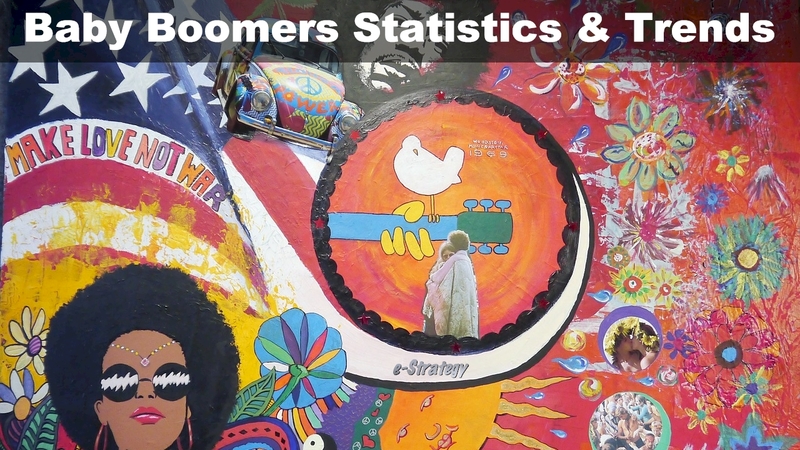 e-Strategy Trends’ continually-updated collection of Baby Boomers research, statistics and trends for marketing, public relations, advertising and strategic communications professionals. Boomers make up one-third (33%) of all online and social media users. Boomers constitute 44% of the US population, 49% of CPG sales in the US (roughly $230 billion annually), and 40% of wireless subscriber services. While a majority of boomers go online on a typical day, according to the Pew Internet & American Life Project, it’s not the landslide one finds among younger adults. In February 2012 Pew polling, six in 10 boomers reported using email “yesterday,” essentially matching the 30-to-49 and 18-to-29 age groups. OnlineColleges.net created this infographic to illustrate consumer spending for the back-to-school shopping season. Q2 saw more than 16 million mobile barcode scans via ScanLife, as more than 4 million consumers came through the ScanLife system for the first time. The youngest respondents were most likely to report having clicked on ads in a mobile app—including those on smart phones as well as tablets. For all tablet owners under age 50, playing games was the most common activity. For the youngest tablet owners, ages 18 to 29, this was followed by shopping, reading books and email. hold 70% of US disposable income, and buy 49% of total consumer-packaged goods. 57.3% of US tablet owners were aged over 35 in the 3-month period ending in June 2012, including almost 1 in 5 aged older than 55.